Posted on Tuesday, February 19th, 2013 at 8:20 am by Pieter van der Westhuizen. I’m sure you’re all aware of the fact that, from Visual Studio 2012, that Visual Studio Setup projects (.vdproj) is a thing of the past. This news has been met with shock, horror and disappointment, but luckily all is not lost. As I’ve mentioned in a previous article Creating a WiX setup project on Visual Studio 2012, Microsoft is touting WiX (Windows Installer XML) as the heir apparent to the traditional VS Setup projects and all things considered it is a very good and free alternative. The problem, however, is when you’ve already invested a great deal of time and energy in creating a .vdproj installer for you application, the prospect of having to re-create it using WiX is not a welcome one. It’s not often that a product comes along that does exactly what you need, but somehow Add-in Express keeps delivering just that. It is with great pleasure that I can introduce our VDProj to WiX Converter add-in for Visual Studio 2012, VS 2010, VS 2008 and VS 2005. With this add-in it literally takes two mouse clicks to convert your existing Visual Studio setup project to a WiX Setup project. 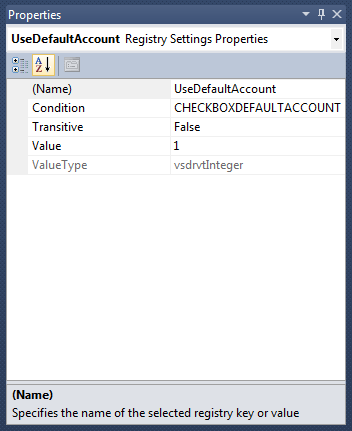 The user’s selection is saved in the registry by associating the checkbox name with the registry setting. 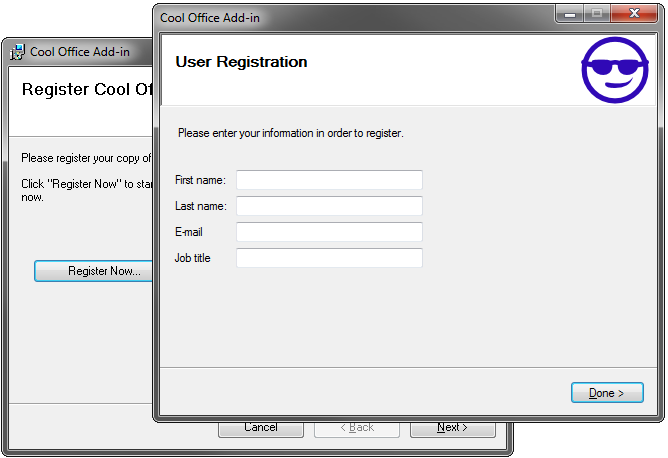 I also have a “Register User” UI, which will launch a custom Executable called UserRegistrator.exe. 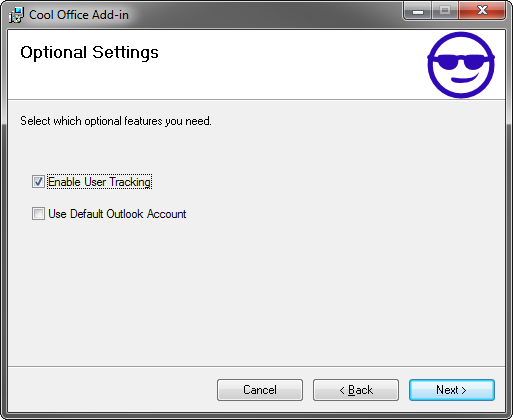 This is a separate .Net application which is used to save the registered users’ information. 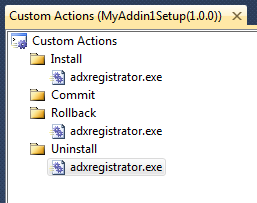 Since this is a Visual Studio Installer project I created using the “Create Setup Project” option, with Add-in Express, it has three Custom Actions, each calls adxregistrator.exe with different arguments. Time for some Add-in Express magic! 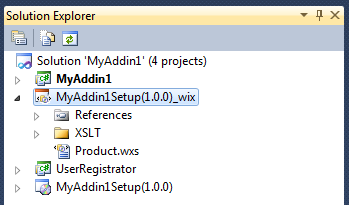 If you have the Add-in Express VDProj to WiX Converter installed, all you need to do is right-click on your setup project in the Visual Studio Solution Explorer and select Convert to WiX project. This will then auto-magically add a ready to use WiX setup project to your solution. 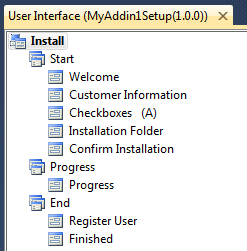 The new WiX Setup project will be an exact replica of your old Visual Studio Installer project. It will automatically add all custom actions, registry settings, launch conditions and UI’s to the WiX source file (Product.wxs). All you need to do is build your new WiX Setup project and you’re ready to deploy! The VDProj to WiX Converter is one of those products that are actually hard to write about since it is so simple and easy to use and it literally explains itself. Not surprising it could only have been built by the same team that brought you the best product for MS Office development… Add-in Express! Beta 1 of VDProj to WiX Converter is out! There is a link to a trial version, yet when I follow the link there are only two download options, both requiring a registration key during installation. So is there or is there not a trial version?